You have had another entire year to put your vehicle to good use. Whether you drive yourself to work, take your kids to school, or run daily errands, your car is an essential part of your life. While it’s good to make goals to better ourselves, including eating healthier, getting more fit, whatever it is, you should also aspire to become a better car owner. So, this 2018, we should make it a point to better take care of our vehicles. After all, it is one of our major investments, and we rely on our cars to bring us safely to wherever we need to go. You can easily start the year right by giving your car a well-deserved reward. When you maintain your vehicle regularly, you reduce the chances of unexpected problems and gain more confidence when driving your car without any fear of it suddenly breaking down. Now, here are essential new year’s resolutions that any car owner can easily follow to keep their vehicles in tip-top shape. Clean your vehicle at least once a week. When you’re on the road and stuck in traffic, there’s nothing worse than staying inside a stinky, messy car for hours on end. So, it’s best to keep your clean both inside and out. Give your set of wheels a thorough washing at least once a week. Cleaning your car is the best way to show the world that you are a responsible owner. Plus, the cheeky kids in your neighbourhood will no longer scribble “wash me” on the dust accumulating on your car. 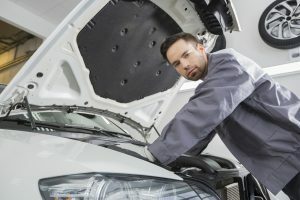 Once you see any sign of small issues on your vehicle, like a strange noise that wasn’t there before or something along those lines, don’t ignore them and just hope these problems will naturally go away. So, have these minor problems checked early on, especially if it just requires a quick repair job. You can actually save more on repair costs than having these minor issues escalate over time. Regularly check your tyres and tyre pressure. Ideally, you need to check the tyre pressure at least once a month and rotate them every 10,000 kilometres. If you do not have the correct tyre pressure, you are putting your car at a higher risk of suffering from early wear and tear on your suspension parts, as well as cause inefficient fuel mileage, poor braking, vehicle instability, among other issues. 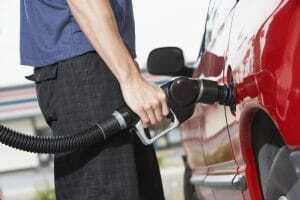 The oil is the lifeblood of your car, and it functions as a protective barrier between metal components. So, if you want to avoid premature wear and tear and sky-high vehicle repair costs, make sure you check your engine oil level regularly, like once a week. You can also check your car owner’s manual to determine the proper time to change the oil. So, if you resolve to be a better car owner, not only you protect your investment, but you will also spare yourself from costly vehicle repairs and stress in the long run. If you found this article useful, please share it on your social media accounts. This helps us reach more people and motivates us to keep delivering blog posts like this one. How does a debt agreement affect your chances of getting a car loan?